Real Madrid youngster Borja Mayoral is reportedly set for a season-long loan exit to join Levante ahead of Friday’s transfer deadline. The 21-year-old made 24 appearances last season as he made a relatively positive impression by scoring seven goals in those outings. Particularly with Julen Lopetegui taking charge this summer, he would arguably have believed that he could have been set for an important role this season, given the Spanish tactician’s previous work at youth level and his apparent faith in other homegrown Spaniards such as Isco and Marco Asensio in the early part of the campaign. However, according to AS, Mayoral is expected to secure a loan move to join Levante for the rest of the season instead, and it seems like a sensible decision for all parties concerned. Levante get a potential goalscorer to bolster their attacking options, Mayoral will hope to earn regular playing time which is unlikely at Real Madrid, particularly after the arrival of Mariano who was unveiled to the Bernabeu faithful on Friday, while the Spanish giants will hope that the youngster will come back an improved player and push for a starting berth in the future. 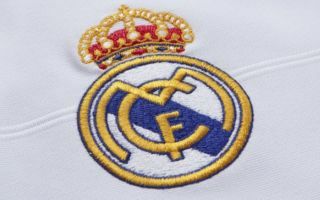 There has been an ongoing wait for Real Madrid to make their move in the transfer market, especially after losing their talisman Cristiano Ronaldo earlier this summer. Mariano will seemingly fill that void this season having also been handed the No.7 shirt, as seen in the club’s tweet below, and so that would have undoubtedly raised further question marks over Mayoral’s playing time this year. Fortunately for him though, it looks as though he will secure a short-term solution before the deadline, with the transfer window closing in Spain on Friday night.